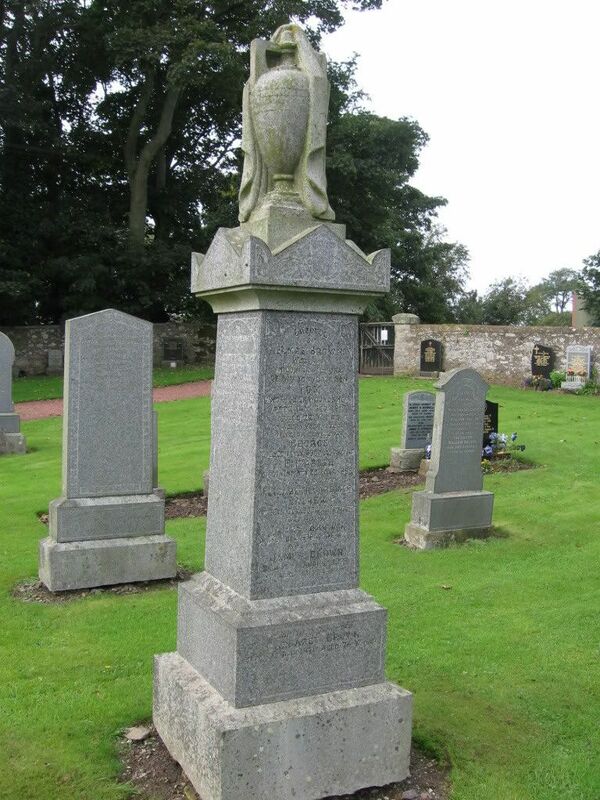 "The cemetery extension is located within the churchyard and the site gives fantastic views over the River Clyde and Medwin Water. The Church sits prominently on a hilltop reputed to have been a focus of Christian worship for more than 900 years and is presently in the care of the Scottish Redundant Churches Trust. 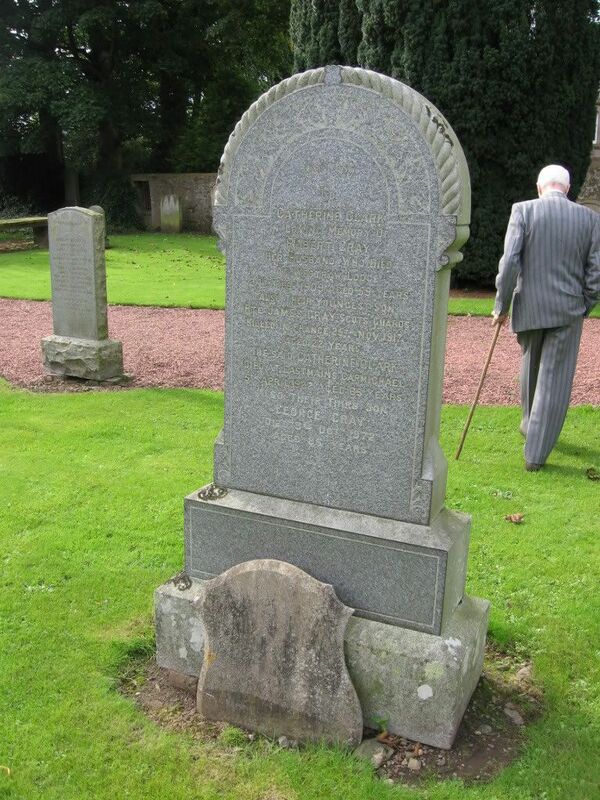 There is great contrast between modern and old headstones and in the way they are laid out. 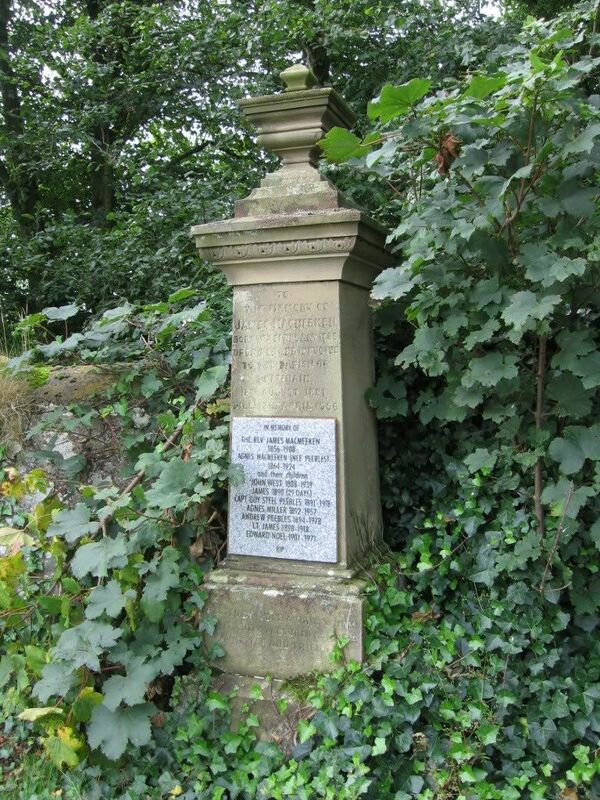 The cemetery has new lairs available and can continue to provide for future generations by the re-opening of lairs. The cemetery can also accommodate interments of cremated remains within existing family lairs." 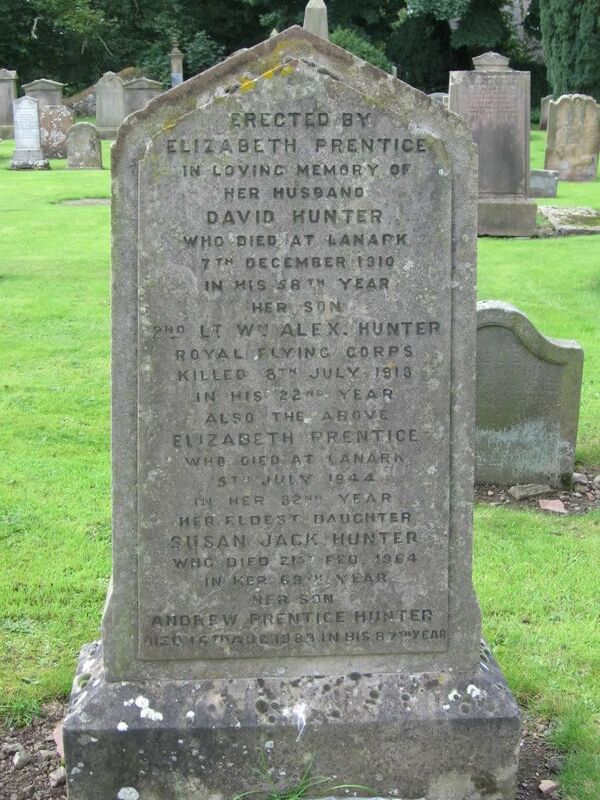 Additional information: Son of Elizabeth Hunter, of St. Ronans, Lanark, and the late David Hunter. 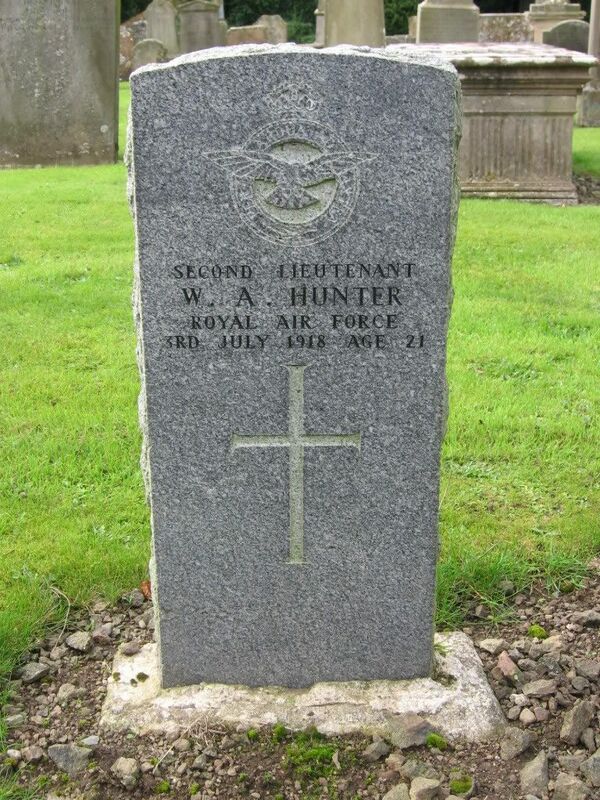 W A Hunter is also commemorated on the family stone next to the CWGC stone. 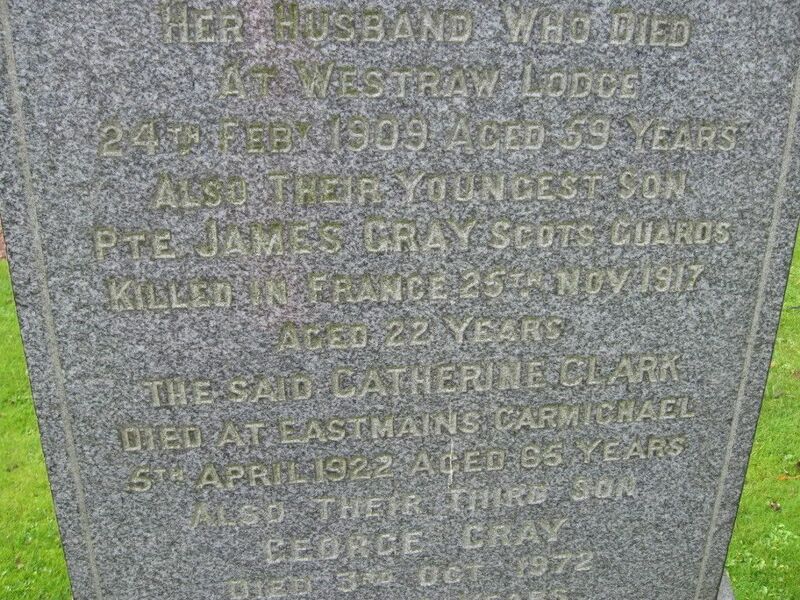 Additional information: Son of Charles and Mary Leathead Prentice, of Westraw Mains. Pettinain. Unit Text: 104th Siege Bty. 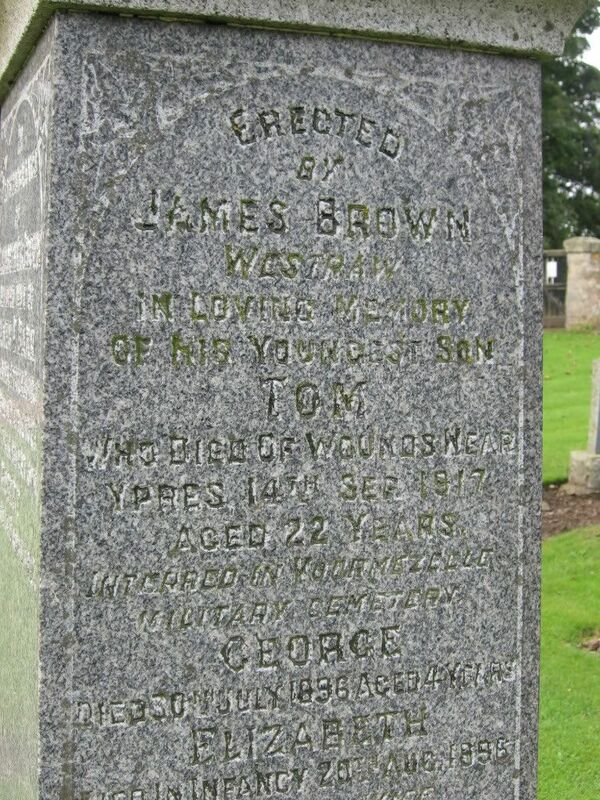 Additional information: Son of James and Elizabeth Gardiner Calder Brown, of "Westraw," Pettinain, Thankerton, Lanarkshire. Grave/Memorial Reference: I. H. 24. 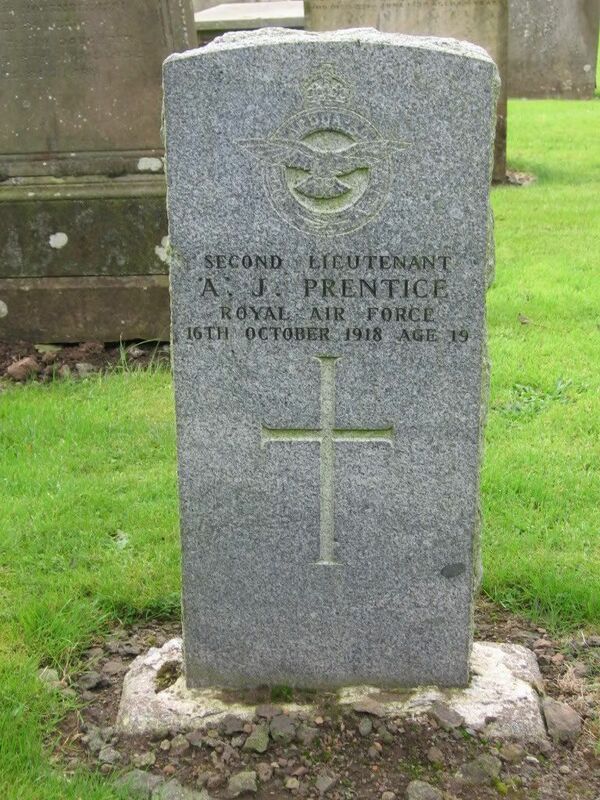 Grave/Memorial Reference: V. D. 24. Additional information: Son of the Rev. 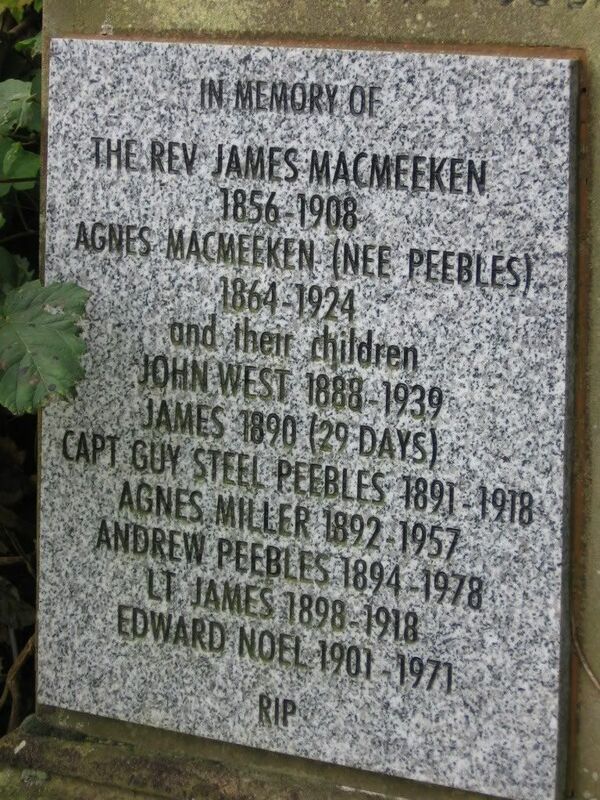 James Macmeeken and Mrs. Macmeeken, of The Manse, Pettinain, Lanarkshire. Grave/Memorial Reference: Pontavert German Cem. Mem. 17.